In the context of his visit to Vienna UN Secretary-General Ban Ki-Moon met Foreign Minister Sebastian Kurz for a working discussion at the Foreign Ministry. Talks focused on the challenges Austria and Europe are currently facing, especially in connection with the refugee crisis and the fight against radicalization and terrorism. A further topic addressed was the important role played by Austria as the seat and headquarters of a total of 37 international organisations. The United Nations General Assembly adopted a 10 year action-plan aimed at accelerating sustainable development in the world’s 32 landlocked developing countries (LLDCs). A Business and Investment Forum was organized as an integral part of the 2nd United Nations Conference on Landlocked Developing Countries with the aim of exchanging views on the challenges and opportunities faced by LLDCs and to discuss possible partnerships and strategies in regards to the role of the private sector in the overall sustainable development of LLDCs. 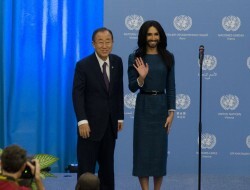 Also, Conchita Wurst performed live at the UN in Vienna for tolerance and mutual respect. 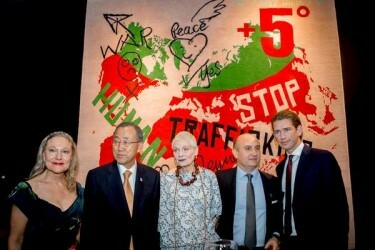 The UN Voluntary Trust Fund for Victims of Trafficking in Persons received a US$ 250,000 boost in donations from the private sector at a fund-raising event in Vienna, attended by Secretary-General Ban Ki-moon, Austrian Foreign Minister Sebastian Kurz, UNODC Executive Director Yury Fedotov and fashion designer Vivienne Westwood. Proceeds from the event will go directly to grassroots organizations that rescue, shelter and reintegrate victims into society. 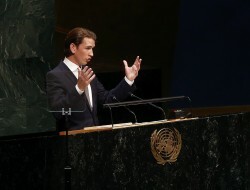 Following is the recent speech by Foreign Minister Sebastian Kurz on the occasion of the 69th UN General Assembly. 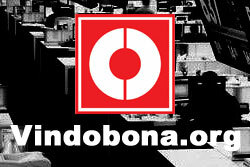 Vindobona believes that this is a brilliant speech, which shows how a neutral country like Austria can make a constructive contribution to the solution of pressing international challenges. Protests expected to continue despite of severe measures. The UN Alliance of Civilizations Forum draws a close with the Vienna Declaration. 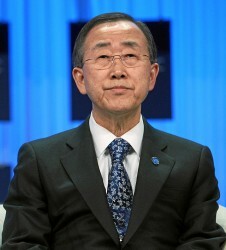 The forum was attended by Heads of State and Global Foreign Ministers. "There is no alternative to intercultural and interreligious dialogue"
UN Secretary General and high-ranking political representatives and religious leaders attend the opening of the new Dialogue Centre in Vienna.